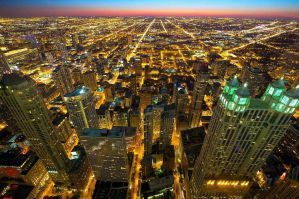 Chicago is the third largest city in the United States. It is a large metropolitan area that attracts travelers from around the world who come for the impressive cultural scene, excellent restaurants, and popular live music venues. There are a wide variety of quintessential sights that you must see in Chicago, but it is also fun to wander around the neighborhoods and soak up some of the atmosphere. Like many major cities in the US, Chicago can be an expensive place to visit. It has a decent number of hostels to choose from and each hostel has it's own character and atmosphere. There are larger hostels and smaller hostels. Some have more of a social atmosphere while others feel a bit like a hotel. In general, hostels offer an affordable and fun place to stay. 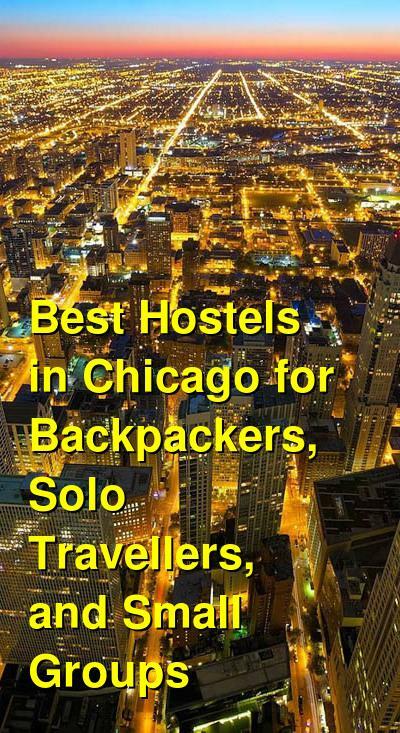 How much do hostels in Chicago cost? A good hostel for students, backpackers, and solo travellers. This hostel is part of the Hostelling International group. It's also the second largest hostel in the United States with more than five hundred beds available. The dorms are separated by gender and they sleep either eight or ten people. Each dorm has an ensuite bathroom. The hostel is located in the heart of the downtown university district. It's walking distance to the Sears Tower, Michigan Avenue/Magnificent Mile shopping, Lake Michigan, Millennium Park, and much more. Public transportation is also easily accessible with major train and bus lines just two blocks away. This hostel offers a good value for travelers or students who want to experience everything that Chicago has to offer without breaking the bank. It appeals to a diverse group of travelers and you're sure to meet people from around the world during your stay here. Freehand Chicago is another favorite hostel for backpackers and budget travelers in Chicago. It's located in a 1927 building in the River North neighborhood. This area has a lot of Chicago's best art galleries, boutiques, and dining options. The hostel was originally a hotel and it has been redesigned to encourage a more community based atmosphere. There is an on-site bar and a guest lounge where visitors can hang out. The staff are also multi-lingual and they can help you arrange any number of tours and activities. If you're looking for a basic and fun place to stay that is well located and a reasonable price, then Freehand Chicago is a good option. It's a good value hostel that has both private rooms and dorms available. Private rooms are either twin or four bed rooms and dorms sleep up to four people. Female only and co-ed rooms are available. A good hostel for solo travellers, backpackers, and groups. Urban Holiday Lofts is another good hostel in the Chicago area. It's located in a one hundred year old warehouse that has been refurbished into lofts. It's a social place to stay where it's easy to meet other travelers from around the world. It's also well located in the heart of Wicker Park, which is one of Chicago's most fun neighborhoods. It's very close to the metro and is near any thing you might need including restaurants, bars, clubs, cafes, shops, and art galleries. There are also many places where you can enjoy live music nearby. The hostel is owned by native Chicagoans who are excited to show you their city. They can recommend any number of activities or restaurants in the area and they can give you an insider's perspective on things to see and do. The hostel has some great amenities including free wi-fi throughout the building, luggage storage, laundry facilities, and a full kitchen that guests can use. There's also a nice lounge area where guests can hang out. The hostel has private rooms including singles, twins, three bed, four bed, and five bed rooms. There are also dorms that are split by gender and sleep either four or eight people. A good hostel for solo travellers, couples, and groups. Holiday Jones feels a bit like a boutique hotel, but it's an affordable option for budget travelers. It's located about ten minutes from the city center and is a great place to base yourself during your time in the city. It includes free wi-fi, a free breakfast every morning, and individual security lockers if you're staying in a dorm. There's a shared kitchen that guests can use and a large common area with a foosball table, television, computers, and board games. In the surrounding area you'll find a wide variety of restaurants, shops, galleries, bars, and nightclubs. The hostel is also just a block from the Division Blue Line station which will take you right into downtown. It's also easily accessible from the airport. The hostel has four and six bed dorms that are split by gender. There are also a wide range of private rooms to choose from including singles, twins, three bed, four bed, five bed, and six bed rooms.